It’s hard not to feel like you’ve stepped into a bygone era when you walk through the doors of the National Motor Museum in the Adelaide Hills town of Birdwood. It houses Australia’s largest motoring history collection with close to 400 cars and motorbikes on display - from the late 19th century to some of the latest models and advancements in motoring from today. Each with their own story to tell. A design and history buff himself, Museum Director Paul Rees admits that while engines remain a mystery to him, he does appreciate ingenuity and Australian innovation. Passion and a genuine interest in motoring history is what makes the collections special for the Museum’s team of dedicated staff and volunteers, and he’s quick to point out how much effort and enthusiasm goes into maintaining a collection this large. “Volunteers play many roles in the running of the Museum. We have volunteers in the curation area, librarians, researchers, gardeners and grounds people, carpenters, fitters and turners, curatorial cleaners, as well as generalists and Jack and Jill-of-alls,” he said. 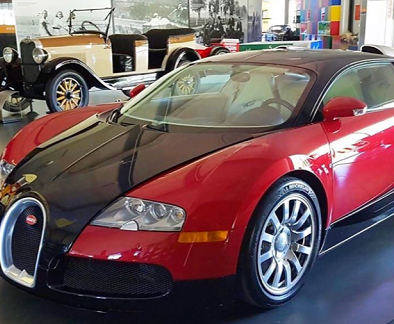 The Museum recently acquired, through a very generous anonymous donation, a rare Bugatti Veyron EB 16.4. Production of this elite model sports car ceased in late 2014, with only 450 models worldwide. A real coup for the Museum. “I can’t say much about the circumstances of the donation,” he said. With collections and pieces on rotation, visitors to the Museum are treated to something new on every visit. 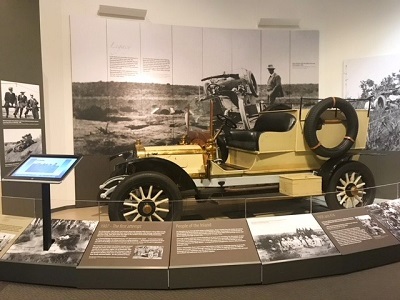 The [Re]Assembled exhibition launched in late 2017, showcasing the history of automotive manufacturing in Australia. 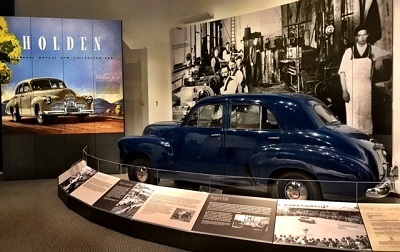 Paul noted the importance of this exhibition seeing as Holden is hardwired into the history of South Australia. “Holden began here in the city of Adelaide. The company is very much a part of us. It was sad to see it end but even sadder to see the end of car manufacturing as we know it in Australia. “[Re]Assembled is a must see. 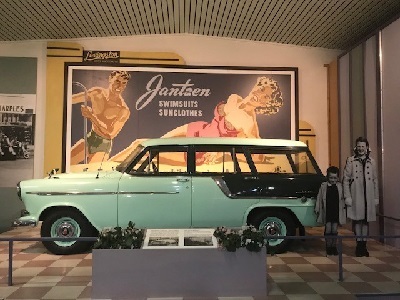 The exhibition is spectacular with six Holden vehicles suspended from the ceiling, and due to the timing of the closure of the Elizabeth Plant the history beneath is rich with Holden materials,” he said. So what else is on the cards for the Museum this year? Visitors will continue to enjoy popular exhibits like Sunburnt Country: Icons of Australian Motoring, Travelling Emporiums: Hawker Vans and salesman of rural Australia, and Alice Anderson’s Motor Service. 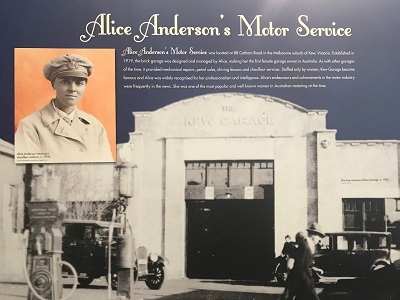 "Alice's Motor Service is an interactive exhibit tells the story of Alice Anderson, the first woman to open her own motor service garage in Australia in 1919," Paul explained. "Alice employed only women in line with her ambition to turn garage work into a suitable profession for them in a time fraught with resistance. It's a fascinating story"
In May a new display called Game Engine launches, dedicated to the history of motoring in video gaming. Think ‘80s and ‘90s classics like American Speedway, Daytona, Gran Turismo and Mario Kart…and that’s just scratching the surface! “This exhibition will be another spectacular one dedicated to motoring in video gaming,” he said. “It will be highly interactive, a lot of fun and provides a different angle to view motoring history, or more rightly, motoring culture. “I want visitors to be proud that the National Motor Museum exists and for them to tell their friends all about us and to encourage them to visit sometime. So why not head to the hills and make a day of it? Enjoy the scenic drive, winding roads, beautiful countryside, quaint towns, cellar doors and producers along the way and learn a bit of interesting history you didn’t know before you visited! 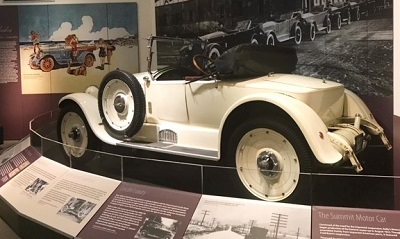 The National Motor Museum is located in Shannon Street, Birdwood and is open from 10am – 5pm daily. Visit their website to find out more.